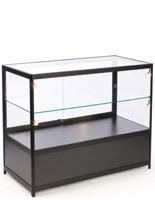 These illuminated display cases have a height adjustable shelf so differently sized goods can be displayed. 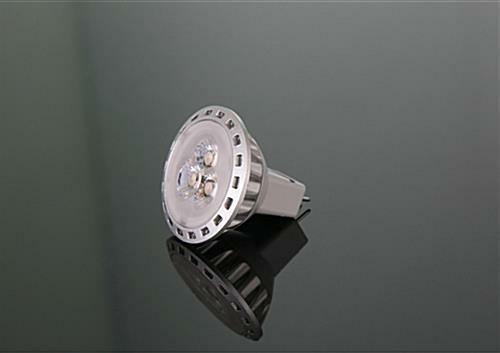 Four LED lights ensure merchandise is highlighted so visitors don't miss anything. 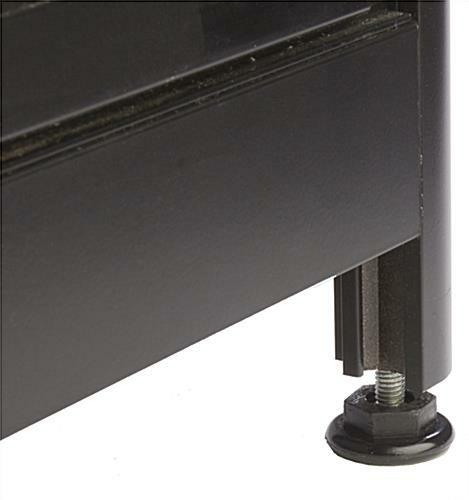 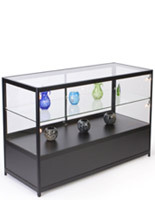 These store fixtures are great for showcasing valuable or fragile merchandise and collectibles. 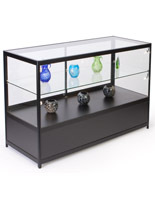 Great for jewelry stores and museums, these retail counters have sliding glass door with concealed storage on the bottom. 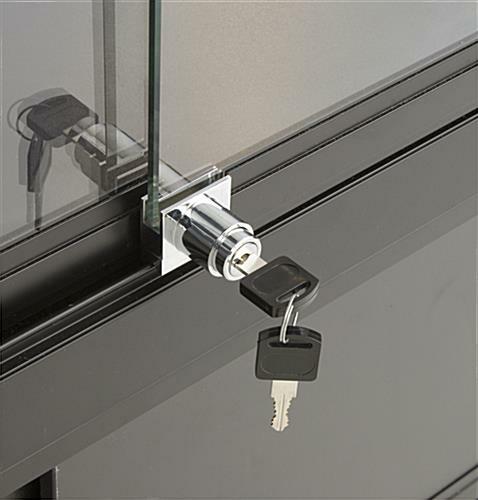 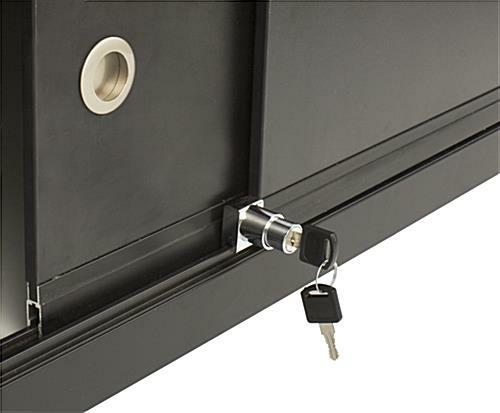 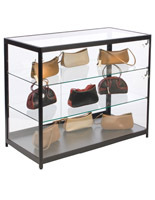 These display cases come with locks and keys to keep items from being damaged or stolen. 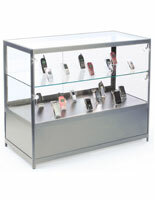 Each of these LED store fixtures are glass merchandise counters that are both durable and beautiful. 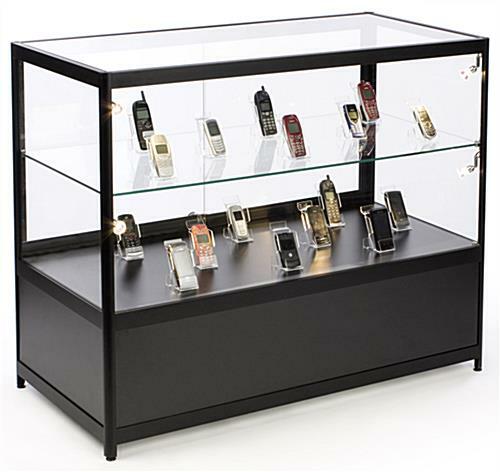 These display cases with lighting are standalone curio cabinets that can be used with other units to create a seamless showroom configuration. 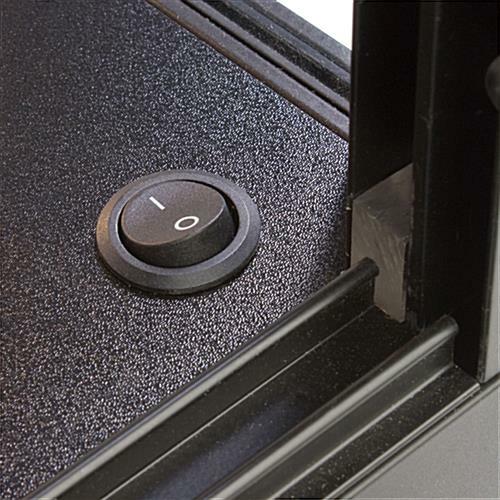 An easy-to access switch is built into the unit inside the doors so the lights can be turned off at the end of the day. 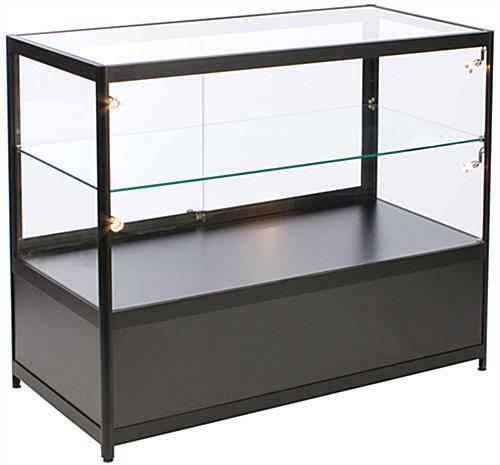 47.0" x 11.0" x 22.0"